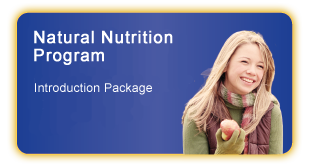 The Natural Nutrition Program and the Natural Nutrition Introduction Package are now delivered on-line. 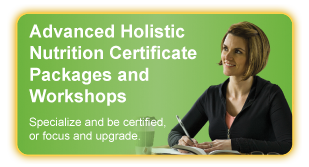 All other CSNN Distance Education workshops are done by mail and/or fax. All fees and payment plans are detailed on the registration forms. Applicants must have a high school diploma or be at least 19 years of age. PLA and AS will be considered upon receipt of official transcripts along with an assessment fee of $200.00 plus applicable taxes. Granting exemptions is strictly at the discretion of the Director and decisions are final. 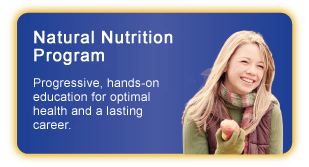 A minimum of 75% of total studies must be taken with the Canadian School of Natural Nutrition in order for students to be eligible for the Diploma in Natural Nutrition. (Some exceptions may apply). PLA and AS must be completed prior to registration into the program. There will be a $25.00 charge for any returned cheques and for any declined or invalid credit card transactions. Please note that within Canada, we ship by courier, where possible, unless notified otherwise. Please provide a street address if you have one, plus an apartment number and buzzer code if applicable. T2202A forms for the tuition portion of fees paid (not including shipping charges) will be issued for the tax year during which completed work is submitted. No refunds after one year past the date of registration. *No refunds on the registration fee, texts or shipping fees. Applies to transfers and withdrawals. CSNN reserves the right to make changes in fees, course content, policies or any other content at any time without notice.